forums.silverfrost.com :: View topic - SIMFIT - Fit for Purpose? Posted: Mon Oct 01, 2018 1:40 am Post subject: SIMFIT - Fit for Purpose? I'm (sort of) comitted to Native %pl for basic plotting. Despite it's current idiosyncracies (which I'm sure will be ironed out soon:) it has a certain simplicity which appeals, and the distinct advantage of being directly integrateabe into a %gr window. For other more 'advanced' ploting capabilities (3D, surface plotting, etc .....) however there's a 'hole' in the ftn95 armoury. While waiting for %pl bug-ironing to advance, I've messed around a bit with SIMDEM to look at the fundamental capabilities of SIMFIT. It looks quite complete. Especially if you want high level data analysis, interpolation capabilities to boot. However it's effectively a 'stand-alone' option. It opens in it's own window, and is festooned with it's own menu buttons. This may be ok for some 'one shot plot' user-interactive applications but doesn't have a level of integration which would make it very impressive for more general application. In reply to my own question in the post title the answer is a resounding ..... YES ..... more than fit for purpose ... DEPENDENT on how you want to do your plotting and how far you need it integrating into %gr controls ! Has anyone on the forum any experience in actually using SIMFIT 'in anger' for anything and what feedback about what has impressed / deceived you about it can you give? A modest 27 views (as of 5/10/2018) to date and NO comments. Does this mean that nobody currently uses SIMFIT/SIMDEM ? Are the 27 people interested enough to view the post hoping that it will become more integrated into Clearwin +? And especially frustrating because probably 20 are my hits, also looking to see if anyone answered! damn I forgot that Eddie ! so the other 27 are my hits checking if anyone hd mde comments ! Silverfrost Admin - is there any way to see a list of the 'views' of a particular post, by a group setting somewhere ? Who controls the SIMDEM source code, who supports it, can Silverfrost or even users modify anything in it? If SIMDEM authors control it what will happen when they abandon (stop support or retire) the product? These questions arise because we do not need one more lemon like Simpleplot which had non-fixable bugs since the source code was not available to Silverfrost while the SP authors stopped support and retired. Great. We just need the owner's confirmation that all SIMDEM sources for its DLLs can be compiled using users' own compilers and are and will be freely available or at least given to Silverfrost for their modifications. 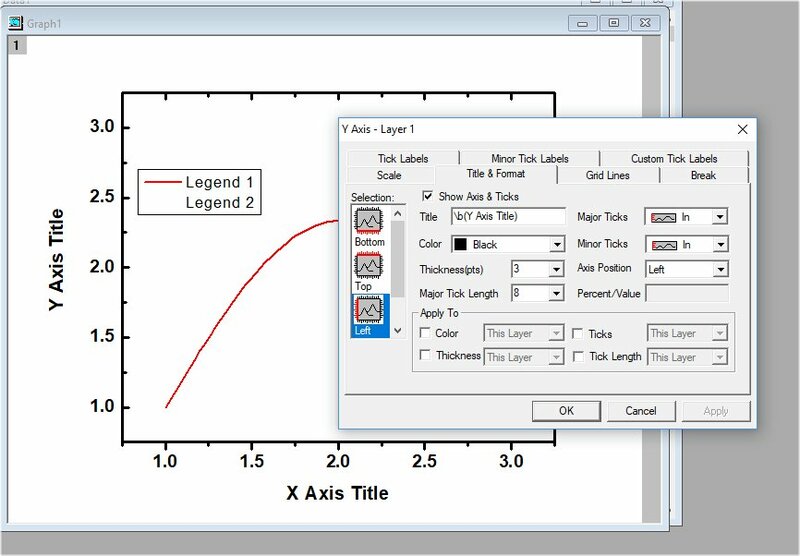 Then Silverfrost has everything to kick the B of Matlab by creating graphics utility something like Universal Grapher to make all possible plots with just one single line of Fortran code. All the settings (names of axis, font sizes, data limits etc) then have to be done inside the plotter by clicking on the corner of the plot like here after which the Settings menu will popup saved automatically into Settings File "Func_f_E.set"
If user will need dynamic changes every time the plotting takes place in the running code then the user will add i=winop@ lines (like with current native %pl) which will override the settings in the Settings File. Cool? Fortran needs simple but professional plotting utility. This utility could be made universal for all existing Fortran compilers similar to how Clearwin+ was ported to them. Basically you can do what you want with it so long as any modded code is made freely available to others too. Thus anything SIMFIT-derived should be self-contained in a module or dll, so that it's only THAT which has to be freely available (NOT the whole core program, which would CALL the mod/ddl. How have you generated the example above? Is this an example of using %pl with a pop-up menu to edit the features you have listed, or a mock-up of where you are heading ? If it exists, this is an impressive development for %pl that looks to be very useful. Is there an example code that could be linked ?